When we read a novel, most of us begin on p. 1. But when we encounter a person, we’re usually starting in the middle of the story. If we don’t pay attention to that, we’re liable to misread everything. In 1935, a Japanese man collecting seaweed came across a bottle that had washed up on the shore. Inside were thin pieces of wood from a coconut tree with a message carved on them. The writer identified himself as Chunosuke Matsuyama. He turned out to be a Japanese sailor who, along with 43 companions, had set out on a voyage in 1794 to find buried treasure on a Pacific Island. They shipwrecked on a coral reef. But before Matsuyama died from starvation and dehydration, he composed the message, sealed it in a bottle, and tossed the bottle into the sea. Ironically, the bottle washed up near the village of Hiraturemura, Japan—the very town where Matsuyama had grown up! That’s a fascinating story. But it only piques one’s curiosity about the rest of the story: Who was Chunosuke Matsuyama? How did he come to be a sailor? Who were his companions? What led them to believe they would find buried treasure? How did they know which island to search? Who hid the treasure? Where did it come from? Does anyone know where the crew shipwrecked? Was Matsuyama the last to survive? Did he have a wife and children? If so, what became of them? Where are the bottle and message today? 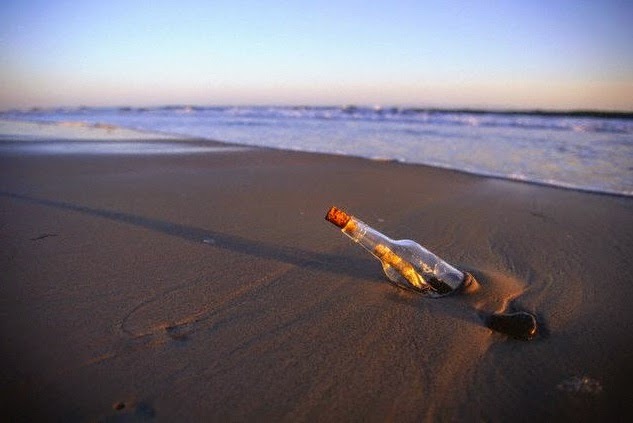 Whenever we meet someone for the first time, we encounter what amounts to a message in a bottle. There’s the person we meet, along with the circumstances in which we meet them. But there are a thousand—no, ten thousand!—threads in their story that we have yet to discover. Of course, a lot of people couldn’t care less about knowing the rest of someone’s story. They want to keep their interaction with the other person at a strictly utilitarian level. I can relate to that. When I’m checking out at the grocery store, I mostly want to get in and get out. Yes, I want to be pleasant, courteous, and respectful to the checker. But do I really need/want to know all about her personal life, her children, her ex’s latest run-in with the law, and her mother’s upcoming bunion surgery? Not really. But what about a coworker with whom I interact throughout the day, every day, for many days on end? What about the person who lives next door to me, year in and year out? What about the person I know at church, whom I see most every week? With people like that, I’m entering into their story on a pretty regular basis. Doesn’t it make sense that I should find out just a little bit more about what that story entails? 1. What is my first impression? First impressions play a powerful role in shaping our response to others, so we should be aware of them and pay attention to them: How did we experience this person? How did they “seem” to us? What did we feel upon meeting them? What “struck” us about them, as they say? Answering questions like these can help us pay better attention to the person we’ve met—as well as pay attention to ourselves and our own reactions. So be aware of initial impressions. But also beware of them! Impressions by their nature are subjective. They form our interpretation of another individual. And some people have a gift for reading people. But no matter how perceptive one may be, first impressions are never infallible (which gives rise to the saying: never judge a book by its cover). We can never crawl inside someone else’s skin and experience the world exactly as they experience it. And so some portion of our perception is bound to be wrong. The only way to correct that is to find out more about the other person’s story. Unless the person you’re meeting is a newborn in a delivery room, you’re coming into their life in the middle of their story. But of course, if you don’t know the plot lines and some of the characters and what has already happened in the story, dropping into the middle of Downton Abbey is a pretty confusing, bewildering experience. Well, the same is true with a person’s life. If you never bother to consider all that has taken place before you came along, they can seem rather confusing, frustrating, boring, or meaningless. 3. What is this person’s story about? Stories (good ones, anyway) are always about something. They have a meaning. Stories are not just about a plot (“This happened, then this happened, then this happened, etc.”). A plot is a series of events. But the events stack up. And together, as they inform one another, they develop toward an outcome. They end up somewhere. It’s in that somewhere that we find what we call meaning. That’s the appeal of biographies. We read about a series of things from a person’s life in order to get to know them, to understand what their life was about. So for example, we learn that Abraham Lincoln’s life was about trying to hold a young country together amidst some very powerful forces that were seeking to tear it apart. His life tells us a lot about leadership, courage, and wisdom—as well as sadness. Or take Princess Diana. A beautiful young maiden weds the Crown Prince of England in what everyone experienced as a storybook wedding. She bears two heirs, but then the marriage falls apart, and the Royal Family marginalizes her. Cast adrift, she finds a new role—and through it a vast new following—as an advocate for the elimination of unexploded land mines in former war zones. Then suddenly her life is cut short in a suspicious car crash in Paris. What was Diana’s life about? Youth, beauty, love, royalty, power, rejection, disgrace, renewal, hope, tragedy, intrigue. Most of us live lives that are nowhere near as dramatic or iconic as Lincoln and Lady Di. But that doesn’t mean our lives are about nothing. Every life matters. Every life counts. Even the life of the unborn child has a message to it. Even the life of a severely compromised child tells us a meaningful story. Even the nameless tale of an unknown worker in an overlooked rice paddy in North Korea is about something. When you encounter someone else, pay close attention to whatever you can discern regarding what their life is about. To do otherwise is to miss the wisdom of eternity. 4. What is the best thing you could do for this person? Your life, too, has meaning. You, too, were placed here for a purpose. So be open to offering your gifts to others whom you encounter. They may not need your gifts at the moment. But then again, you just may be the answer to their prayers. Someone will say that “all” they have to offer is the ability to connect with people in a way that makes them feel safe. What a wonderful gift! The sort of gift a counselor or therapist could stand to have. Another person thinks that “all” they have to give is a knack for explaining how numbers work. What an invaluable gift! If only every junior high math class in the country were taught by someone with that gift. Someone else feels that “all” they seem to be able to do is sit with someone and try to cheer them up, or failing that, to at least “be” with them in their pain. What a deeply meaningful gift! One that will only increase in value as Baby Boomers grow older and begin to need hospice care. There are no nobodies in this world. No matter who you are, you have a gift to offer others. But take note: it’s not a gift until you give it. And even if the person you encounter doesn’t and never will need the gift you bring, at a bare minimum you can give them respect and attention. Because everyone can benefit from being seen as a person. 5. What gift does this person offer you? The flip side of the previous point is that the person you encounter also has a gift to give to the world—including you. But here’s the irony: most people either (a) don’t know what their gift is, or (b) don’t think it’s very valuable (see the previous point). What if you were able to help them see it, and also celebrate it? That’s easier to do than you may think. All it takes is catching someone in the act of doing something well. I don’t mean just expected, I mean doing it in a way that exceeds expectations. And also doing it in a way that seems to indicate they kind of like what they’re doing. We don’t celebrate enough in this world. Indeed, in the United States we are becoming increasingly cynical and negative. Grumbling and complaining abound. Many of us now expect things to wrong and people to phone in their performance. 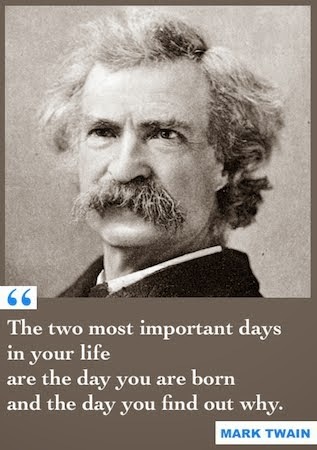 That’s why a simple affirmation of another person’s gift can make such a powerful impact. It strikes a blow for what is good and true and beautiful in someone else’s life. And it’s a great way—maybe the best way—to enter someone else’s story! Question: Who is someone you encounter with whom you could practice these five questions? Impressing your admission committee can be difficult most especially that they have read a great deal of statement of purpose graduate school format and other essays. It will give you a commendable info. Take a closer look at this page to get numerous tips on writing, tutorials how to master your skills etc. Now you may learn how to track someone on facebook. read more and know more about the medicines. Writing a personal statement for fellowship programs needs writing skills and also knowledge of the medical area in which the application is being made. it does not seem unreasonable to suggest that the way it has been promoting the attachment improving the association perfect. In that case all item is very much smoother to all. it’s a good approaches to all. The ideas are so wise. I think that we should think about the most precious things in our life and decide what way to choose.